Americans are slowly waking up to the sad fact that much of the food sold in the US is far inferior to the same foods sold in other nations. In fact, many of the foods you eat are BANNED in other countries. Here, I’ll review 10 American foods that are banned elsewhere. 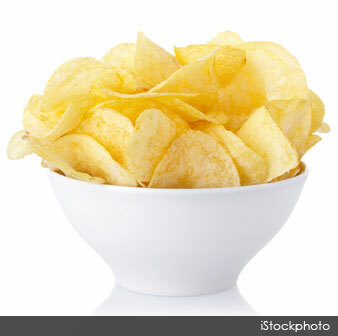 Seeing how the overall health of Americans is so much lower than other industrialized countries, you can’t help but wonder whether toxic foods such as these might play a role in our skyrocketing disease rates. If you want to maximize health benefits from fish, you want to steer clear of farmed fish, particularly farmed salmon fed dangerous chemicals. Wild salmon gets its bright pinkish-red color from natural carotenoids in their diet. Farmed salmon, on the other hand, are raised on a wholly unnatural diet of grains (including genetically engineered varieties), plus a concoction of antibiotics and other drugs and chemicals not shown to be safe for humans. This diet leaves the fish with unappetizing grayish flesh so to compensate, they’re fed synthetic astaxanthin made from petrochemicals, which has not been approved for human consumption and has well known toxicities. According to the featured article, some studies suggest it can potentially damage your eyesight. More details are available in yesterday’s article. How can you tell whether a salmon is wild or farm-raised? The flesh of wild sockeye salmon is bright red, courtesy of its natural astaxanthin content. 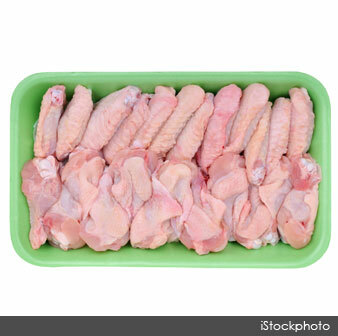 It’s also very lean, so the fat marks, those white stripes you see in the meat, are very thin. If the fish is pale pink with wide fat marks, the salmon is farmed. 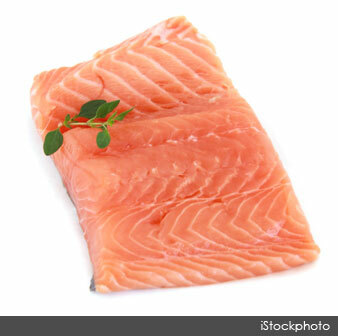 Avoid Atlantic salmon, as typically salmon labeled “Atlantic Salmon” currently comes from fish farms. The two designations you want to look for are: “Alaskan salmon,” and “sockeye salmon,” as Alaskan sockeye is not allowed to be farmed. Please realize that the vast majority of all salmon sold in restaurants is farm raised. So canned salmon labeled “Alaskan Salmon” is a good bet, and if you find sockeye salmon, it’s bound to be wild. Again, you can tell sockeye salmon from other salmon by its color; its flesh is bright red opposed to pink, courtesy of its superior astaxanthin content. Sockeye salmon actually has one of the highest concentrations of astaxanthin of any food. 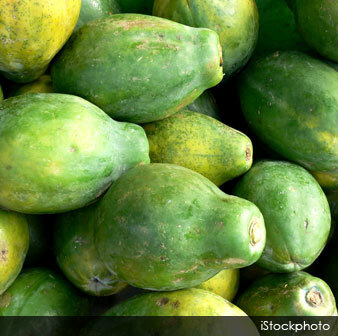 Most Hawaiian papaya is now genetically engineered to be resistant to ringspot virus. Mounting research now shows that animals fed genetically engineered foods, such as corn and soy, suffer a wide range of maladies, including intestinal damage, multiple-organ damage, massive tumors, birth defects, premature death, and near complete sterility by the third generation of offspring. Unfortunately, the gigantic human lab experiment is only about 10 years old, so we are likely decades away from tabulating the human casualties. Unfortunately, it’s clear that the US government is not in a position to make reasonable and responsible decisions related to genetically engineered foods at this point, when you consider the fact that the Obama administration has placed former Monsanto attorney and Vice President, Michael Taylor, in charge of US food safety, and serious conflicts of interest even reign supreme within the US Supreme Court! That’s right. Supreme Court Justice Clarence Thomas is also a former Monsanto attorney, but refuses to acknowledge any conflict of interest. The beta agonist drug ractopamine (a repartitioning agent that increases protein synthesis) was recruited for livestock use when researchers found that the drug, used in asthma, made mice more muscular. This reduces the overall fat content of the meat. Ractopamine is currently used in about 45 percent of US pigs, 30 percent of ration-fed cattle, and an unknown percentage of turkeys are pumped full of this drug in the days leading up to slaughter. Up to 20 percent of ractopamine remains in the meat you buy from the supermarket, according to veterinarian Michael W. Fox. Since 1998, more than 1,700 people have been “poisoned” from eating pigs fed the drug, and ractopamine is banned from use in food animals in no less than 160 different countries due to its harmful health effects! Effective February 11, 2013, Russia issued a ban on US meat imports, slated to last until the US agrees to certify that the meat is ractopamine-free. At present, the US does not even test for the presence of this drug in meats sold. In animals, ractopamine is linked to reductions in reproductive function, increase of mastitis in dairy herds, and increased death and disability. It’s also known to affect the human cardiovascular system, and is thought to be responsible for hyperactivity, and may cause chromosomal abnormalities and behavioral changes. 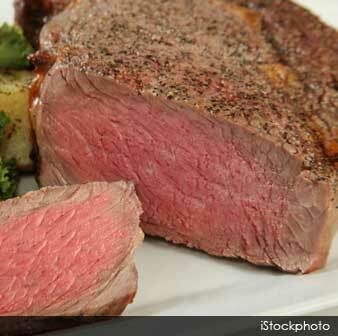 Read about the benefits of grass-fed beef compared to standard feed lot beef. 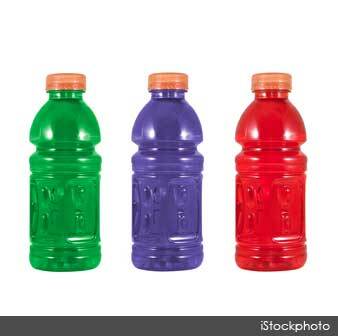 If you live in the US and drink Mountain Dew and some other citrus-flavored sodas and sports drinks, then you are also getting a dose of a synthetic chemical called brominated vegetable oil (BVO), which was originally patented by chemical companies as a flame retardant. BVO has been shown to bioaccumulate in human tissue and breast milk, and animal studies have found it causes reproductive and behavioral problems in large doses. Bromine is a central nervous system depressant, and a common endocrine disruptor. It’s part of the halide family, a group of elements that includes fluorine, chlorine and iodine. When ingested, bromine competes for the same receptors that are used to capture iodine. This can lead to iodine deficiency, which can have a very detrimental impact on your health. Bromine toxicity can manifest as skin rashes, acne, loss of appetite, fatigue, and cardiac arrhythmias. Where it’s banned: Norway and Austria. In 2009, the British government advised companies to stop using food dyes by the end of that year. The European Union also requires a warning notice on most foods containing dyes. 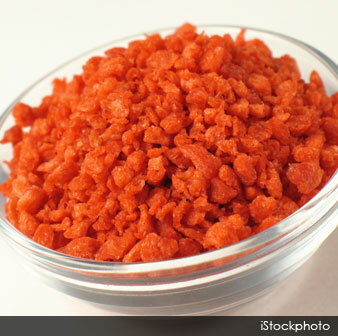 In countries where these food colors and dyes are banned, food companies like Kraft employ natural colorants instead, such as paprika extract, beetroot, and annatto. The food blogger and activist Vani Hari, better known as “Food Babe,” recently launched a Change.org petition2 asking Kraft to remove artificial dyes from American Mac & Cheese to protect American children from the well-known dangers of these dyes. Arsenic-based drugs are approved for use in animal feed in the US because they make animals grow quicker and make the meat appear pinker (i.e. “fresher”). The US Food and Drug Administration (FDA) has stated these products are safe because they contain organic arsenic, which is less toxic than the other inorganic form, which is a known carcinogen. The problem is, scientific reports surfaced stating that the organic arsenic could transform into inorganic arsenic, which has been found in elevated levels in supermarket chickens. The inorganic arsenic also contaminates manure where it can eventually migrate into drinking water and may also be causing heightened arsenic levels in US rice. In 2011, Pfizer announced it would voluntarily stop marketing its arsenic-based feed additive Roxarsone, but there are still several others on the market. Several environmental groups have filed a lawsuit against the FDA calling for their removal from the market. In the European Union, meanwhile, arsenic-based compounds have never been approved as safe for animal feed. You might not be aware of this, but nearly every time you eat bread in a restaurant or consume a hamburger or hotdog bun you are consuming bromide, as it is commonly used in flours. 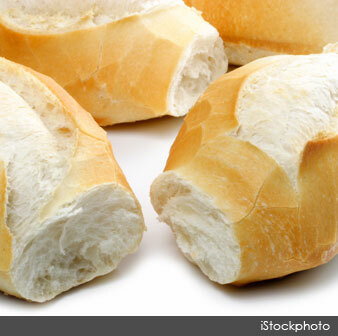 The use of potassium bromate as an additive to commercial breads and baked goods has been a huge contributor to bromide overload in Western cultures. Bromated flour is “enriched” with potassium bromate. Commercial baking companies claim it makes the dough more elastic and better able to stand up to bread hooks. However, Pepperidge Farm and other successful companies manage to use only unbromated flour without any of these so-called “structural problems.” Studies have linked potassium bromate to kidney and nervous system damage, thyroid problems, gastrointestinal discomfort, and cancer. The International Agency for Research on Cancer classifies potassium bromate as a possible carcinogen. 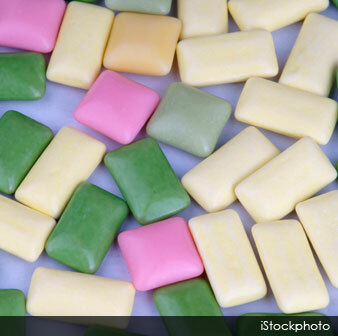 BHA (butylated hydroxyanisole) and BHT (butylated hydroxytoluene) are commonly used preservatives that can be found in breakfast cereal, nut mixes, chewing gum, butter spread, meat, dehydrated potatoes, and beer, just to name a few. BHA is known to cause cancer in rats, and may be a cancer-causing agent in humans as well. In fact, according to the US Department of Health and Human Services, National Toxicology Program’s 2011 Report on Carcinogens, BHA “is reasonably anticipated to be a human carcinogen.” It may also trigger allergic reactions and hyperactivity, while BHT can cause organ system toxicity. Where it’s banned: The UK doesn’t allow BHA in infant foods. BHA and BHT are also banned in parts of the European Union and Japan. It’s injected into cows to increase milk production, but it is banned in at least 30 other nations because of its dangers to human health, which include an increased risk for colorectal, prostate, and breast cancer by promoting conversion of normal tissue cells into cancerous ones. Non-organic dairy farms frequently have rBGH-injected cows that suffer at least 16 different adverse health conditions, including very high rates of mastitis that contaminate milk with pus and antibiotics. “According to the American Cancer Society, the increased use of antibiotics to treat this type of rBGH-induced inflammation ‘does promote the development of antibiotic-resistant bacteria, but the extent to which these are transmitted to humans is unclear,’” the featured article states. 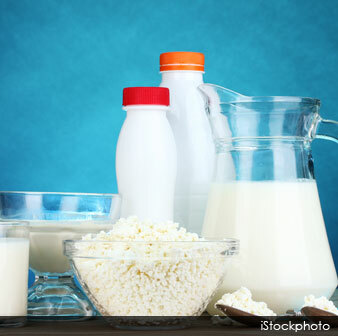 Many have tried to inform the public of the risks of using this hormone in dairy cows, but their attempts have been met with overwhelming opposition by the powerful dairy and pharmaceutical industries, and their government liaisons. In 1997, two Fox-affiliate investigative journalists, Jane Akre and Steve Wilson, attempted to air a program exposing the truth about the dangers of rBGH. Lawyers for Monsanto, a major advertiser with the Florida network, sent letters promising “dire consequences” if the story aired.